Written by Molly Gaffney on 09 June 2018. Everyone says to run against traffic because you’ll give motorists more time to see you. While this is true to some extent, the real reason why you want to run against traffic is to give yourself more time to get out of the way of an approaching car. A moment or two is all you need to dive out of the way when a reckless driver veers around a corner. What you wear makes a big difference when it comes to visibility. You can cater your outfit to the time of day you’re running to stand out even more. When running in the daytime, wear something that’s florescent. Bright green, yellow, and orange are all colors that can be seen from afar or in contrast to buildings. When you’re running at night it’s not really important to wear a specific color, but it is important to wear something reflective. This allows you to stand out against a car’s headlights. It’s important to note that if you’re running at night, you should try to stay on the sidewalk for your own safety. 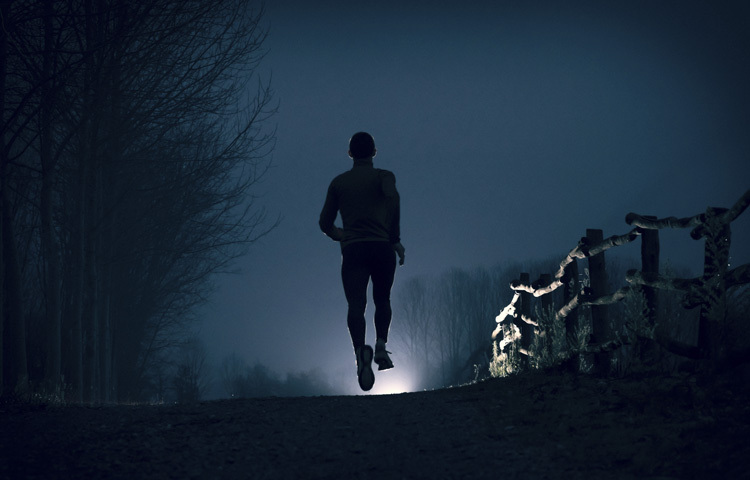 Speaking of nighttime running, bringing a flashlight with you is always a good idea. A bobbing light is easy for motorists to see from afar, but a flashlight can also help you identify potholes or broken pavement on your run. If you’d prefer to run hands free, you can opt for a headlamp. Two runners are much easier to see than one, so you should have a little more room on the road (although this isn’t necessarily true, you’re given a wider birth more often than not). Large groups are even easier to see. When running in a big group just be sure to not run more than two abreast so you don’t hog the road. Running with a friend has more benefits than just increased visibility. Studies have shown that running with an accountability buddy can help you run longer or faster than you typically would on your own. You are also more likely to stick to your exercise routine if you have a friend relying on you showing up to work out.